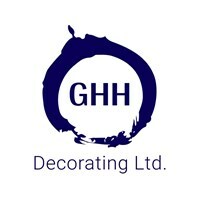 Hi thanks for visiting my profile, I am George Hardy the owner of GHH Decorating. We are a family run business based in Fleet, with over 10 years’ experience. Myself and my large team work to only the highest standards as skilled painters and decorators in every aspect of the trade, internally and externally. We hang all kinds of wallpaper and to such a high standard that my main wallpaper hanger even works for the royal family. Due to such an experienced work force we can take on any kind of work within the trade. · Applying Marrakech wall coverings. · Protecting, Treating and Finishing hard wood staircases, doors and beams etc. We work for anybody from large developers on 2 year projects to small domestic jobs. We were recently recommended to another large Developer for a yearlong site by Dulux themselves. Previous sites we have worked on have been given awards for quality of the product and quality of finish and having painted these houses means a lot to us as a company. We do a lot of show homes which always brings up more challenging aspects of the job and naturally puts our work under the microscope. We always deliver a quality finish and on time!